Weight for 26" unit: 30 lbs. Enjoying a beautiful fire on your deck, patio, or even camping trip has never been easier! 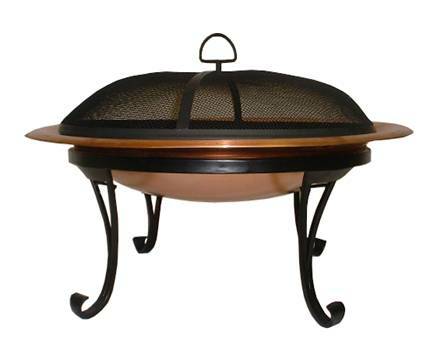 This exquisite fire pit bowl is the perfect addition to your outdoor decor. There is no assembly required, and the set easily folds into place. It comes with a removable screen to contain flying embers if you desire, and the whole thing weights only 30 lbs. This set includes a handy lifting tool and a canvas carry case. Approximate dimensions 26" x 26" x 19". Could you tell me how deep the bowl is on this?